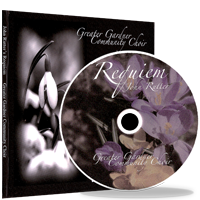 Requiem by John Rutter was recorded live at Our Lady of the Holy Rosary Church in Gardner, MA on Palm Sunday, April 5, 2009. 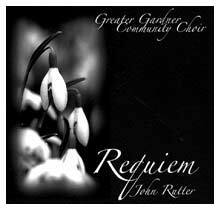 The concert was performed by the Greater Gardner Community Choir under the direction of Diane Cushing. Requiem aeternam dona eis Domine: et lux perpetua luceat eis. Te decet hymnus, Deus in Sion: et tibi reddetur votum in Jerusalem. Kyrie eleison. Christie eleison. Kyrie eleison. Grant them rest eternal, Lord our God, we pray to thee: and light perpetual shine on them forever. Thou, Lord, art worshipped in Sion; thy praises shall ever be sung in all Jerusalem. 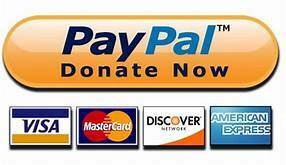 O hear us; O Lord, hear thy faithful servants; prayer; to thee shall all mortal flesh return. My soul fleeth unto the Lord; before the morning watch, I say, before the morning watch. Pie Jesu Domine, dona eis sempiternam requiem. Blessed Jesu, Lord I pray in thy mercy grant them rest. Lord our God, we pray for thee, grant them everlasting rest. Holy, Holy, Holy Lord, God of power and majesty. Lamb of God, that takest away the sins of the world: in thy mercy, grant them rest. Man that is born of a woman hath but a short time to live, and is full of misery. He cometh up, and is cut down like a flower; he fleeth as it were a shadow. In the midst of life we are in death: of whom may we seek for succour?